After building inspectors discovered structural issues, the county told the Lions Club it had to vacate the building. The Lions club packed up its belongings and left on Friday. The Vets Hall hosts about 50 to 60 major events a year. A wedding scheduled for last weekend was cancelled, and the county has prohibited groups from scheduling new events in the building. Dave Flynn, the county’s deputy director of public works, said there have been numerous add-ons to the Vets Hall, and many of them did not meet building standards. The stage, which is the part of the building that is in the worst shape, is already boarded off with sheets of plywood. Building officials’ primary concern is how well the structure would withstand strong windstorms or earthquakes. Inspectors will examine the building on Monday and decide what repairs are needed and how much use can safely occur. The Vets Hall is located at the foot of the Cayucos Pier, which recently closed for two years to undergo repairs. The pier repairs cost $3.5 million. Cayucos residents raised $230,000 of those funds. Supervisor Bruce Gibson said the county will budget what it can for repairs to the Vets Hall, and it will seek grant funds. But, the community may have to do fundraising to cover a shortfall, Gibson said. The state of California owns the Vets Hall, but a nearly 70-year-old agreement makes the county responsible for managing and upkeep of the building. The county has an agreement with the Lions Club that allows the organization to handle day-to-day operations. The Lions Club charges $950 per event at the Vets Hall. Club officials say they use most of the revenue to maintain the building and spend leftover money on providing eye care and swim passes for local children. 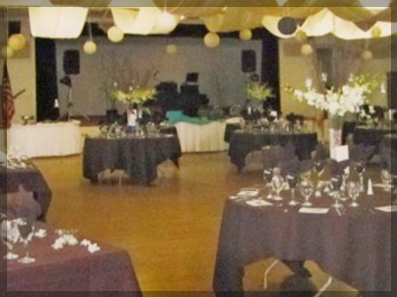 It is common for 400 or more people to attend a weekend event at the Vets Hall. Most of the attendees stay at local motels and eat at local restaurants. County building officials are expected to rule on the status of the building by late this week. Who ever signed off on the additions that are now not up to standard needs to be fired and let them pay for the repairs. If they are already retired take the money out of their retirement. This is just getting to be beyond nuts. Aren’t you glad you voted Gibson back into office to hear things like this out of his mouth.. These additions were done in the 50’s, so good luck with that one. “…numerous add-ons to the Vets Hall, and many of them did not meet building standards”, how does that happen when the county is responsible for managing the property? “Government” People drive along government roads to get to our precious little town. On roads that do not warrant repairs until someone gets killed. Bruce, why is it that when you want a raise, you simply vote yourself one, but when WE need something, WE have have to do fund raising? don’t you find this a bit one sided….WE wind up paying. A closure of the Cayucos Vet`s Hall will devastate the local economy, which is still reeling from economic harm caused by a 2 year closure of the pier…I sure hope Bruce Gibson can talk some sense to the “biggie littles” at County Building and Safety, and find a win/win solution. Government management at it’s best! They can’t even maintain their own facilities without surprise and now look to the public for more funding to fix what they have obviously deferred for years and years. I’m gonna guess the good ol’ boys responsible for overseeing these things have got a pretty sweet salary and are looking forward to their cushy pension when it’s time. Again, this building was modified in the 40’s and 50’s. We better start inspecting every public building that was built back then and start shutting them down. The place could probably stand for another 50 years, but once you know something might happen you are now on the hook.